In this Q&A video, learn about High Tech Careers at PowerObjects from Alex, Director and Chief Architect at PowerObjects. Alex explains what makes our team unique, why he enjoys working at PowerObjects, and what you can expect in a technical role on our team. Hi. I’m Alex Fagundes. I’m the director of architecture here at PowerObjects. I work with a lot of our team members on solving problems and solving business problems not only with Dynamics 365 but with Azure and various offerings from Microsoft. 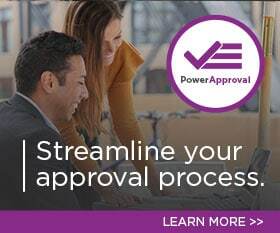 What makes PowerObjects unique is our fanatical focus on implementing and being the best company in the world in Dynamics 365. I like working at PowerObjects because of the variety, the variety of technologies, Azure, Dynamics 365, Office 365. In addition, since we work across industries, we learn quite a bit about our clients, the way they run their companies, and the way they’re applying Microsoft technologies in their business process. As part of PowerObjects, you can expect a very collaborative environment. If you’re an expert in an area, you can expect to share that knowledge via Yammer, via trainings, via webinar. Likewise, if you’re hungry for knowledge, we have a lot of opportunities to learn new technologies. We love the team atmosphere. We love new ideas. We are probably one of the few companies where any consultant, if they have an idea, and we can take that idea from an idea to, perhaps a component, to perhaps a new way of doing things. Some of the most cutting-edge technologies being built in Dynamics 365 are the integrations with machine learning, integrations with Cortana Analytics Services, voice recognition, real-time data analytics, and things that in the past took many, many hours of custom development now it literally, four hours with a little bit of code or out of the box. If you’re the type of person that loves learning, loves working in a team environment to solve an issue, solve a problem, loves learning new things, working across industries, check us out. You might be what we’re looking for. March 31, 2016 powerobjectsweb_o6z0dz	Be the first to comment. Take a look into the culture of PowerObjects and find out what makes this Minneapolis-based Microsoft Dynamics Partner one of the best in the world! December 27, 2015 powerobjectsweb_o6z0dz	Be the first to comment. August 1, 2018 Eric Ortiz	Be the first to comment.